This month’s roundup is all about new watches, and we have got all sorts lined up for you. 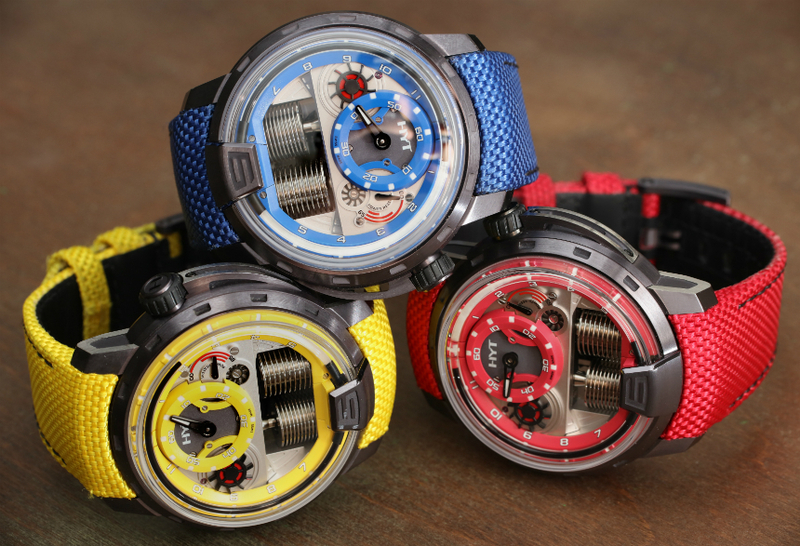 We begin with the colorful, complicated, and limited HYT H1 Colorblock. 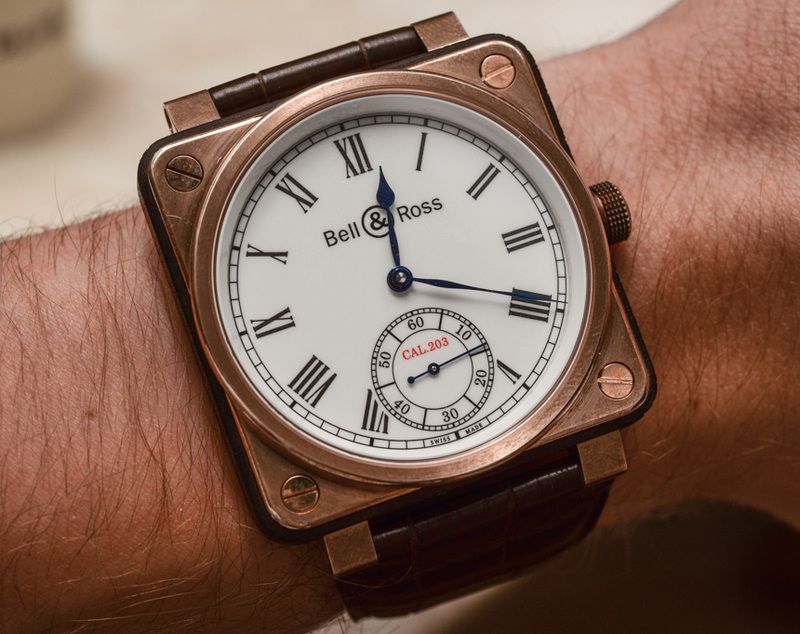 Next, we have Bell & Ross’ very unusual and interesting new BR 01-CM Instrument De Marine watch. Is this a sign that Bell & Ross is going to make more maritime-inspired timepieces? Who knows. And rounding things off, we have a double-whammy featuring the very classic and elegant Patek Philippe 5396 Annual Calendar watch, and a rare very and shiny Rolex that you might never know existed. Moving on, we pay tribute to a very important man who has helped shaped the watch industry. That man is Günter Blümlein, and he has been largely credited with reviving the fortunes of IWC and Jaeger-LeCoultre, and also played a very big role in the resurrection of one of my favorite brands, A. Lange & Söhne. And finally, we end things off by learning more about the “Ghost” dial Rolex Paul Newman Daytona. For anyone who is considering a piece from one of the independent watch brands, I think HYT should be on your list if you’re willing to pay for it. 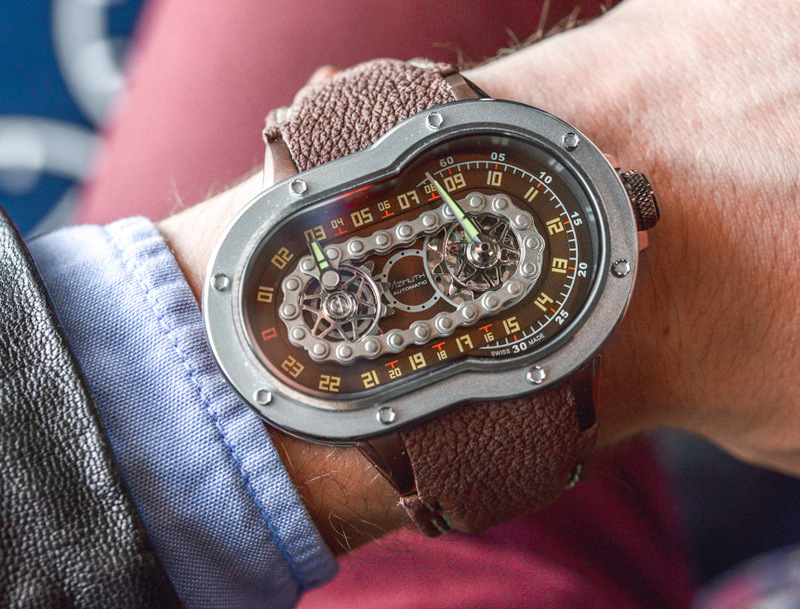 If you want something classical, HYT isn’t it; but if you want something that is refreshing, new, and technically interesting, then HYT is all of those things. The brand is most famous for using liquids in their watches and movements, and the H1 was their very first watch when they launched the brand in 2012. Here, the H1 has been updated in three very bright and bold colors, and they will only be available in very limited numbers. Have a closer look at them by hitting the link below. Bell & Ross’ guiding light has always come from the skies, but their new Instrument De Marine collection unabashedly draws its inspiration from the open waters and deep seas. Featured here is the BR 01-CM Instrument De Marine, the simplest model from Bell & Ross’ new and limited-edition-only Marine Instrument collection. Though this watch features the brand’s distinctive BR 01 case, the case itself is made using materials associated with the sea – bronze, titanium, and a dash of wood. 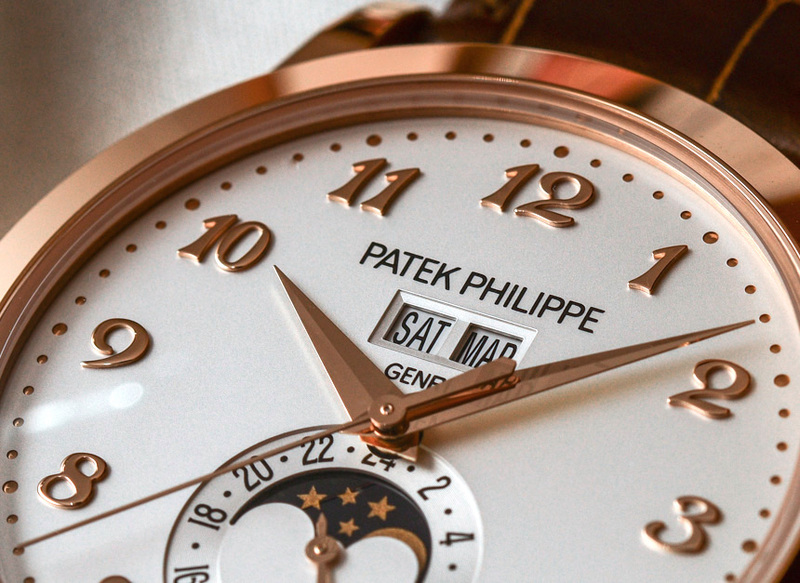 The dial also pays homage to marine chronometers of old. It’s a refreshing take on marine-inspired watches and a real treat for fans of the brand. Azimuth is a brand that specializes in offering interesting & unique watch designs at affordable price points. To keep prices down, Azimuth uses regular ETA movements and then modifies the hell out of them. And one of the watches that best encapsulates this philosophy is the new SP-1 Crazy Rider ‘Bike Chain’ watch. As the name suggests, the SP-1 Crazy Rider watch has a design that is heavily influenced by motorbikes, featuring hands that are linked by chains. It’s a fascinating design, and looks in concept like something a more high-end and expensive brand like MB&F would make. The annual calendar complication is so called because it only requires one adjustment every year, and that’s at the end of February. 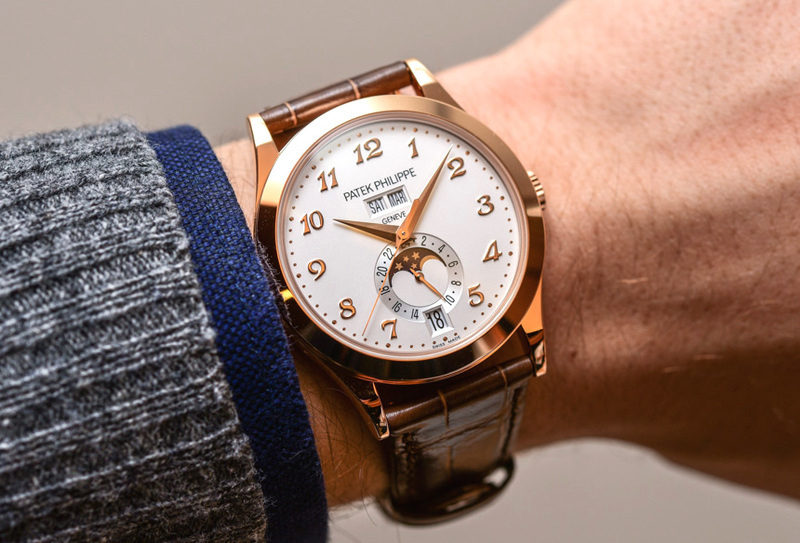 It’s less complicated than a perpetual calendar, but it’s actually a rather recent invention, debuting only in 1996 on a wristwatch by arguably the biggest brand in the business – Patek Philippe. As a result, annual calendar watches by Patek Philippe are a little special, and for 2016 they have released two new variants of their revered reference 5396. The new variants are available in white and rose gold, and are easily distinguishable by the use of Breguet-style numerals for their hour indexes. Seiko’s Grand Seiko line encompasses all three major types of movements that Seiko makes. We have purely mechanical watches, and then we have the hybrid electro-mechanical Spring Drive, and finally there are the pure quartz watches. This is apt because it was Seiko who produced the world’s first quartz watch. Today, Seiko’s continues to produce quartz watches and movements. It even has its own facility where they grow their own quartz crystals! 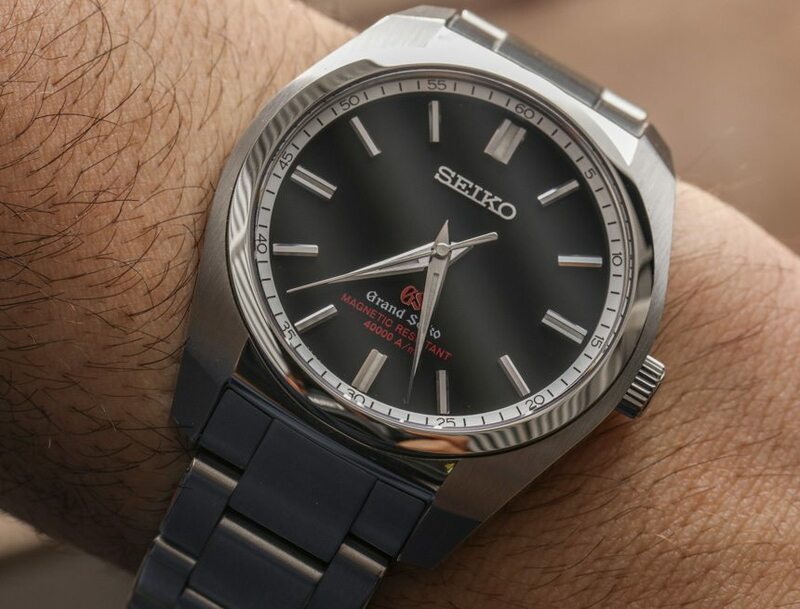 Unsurprisingly, the Grand Seiko SBGX093, which is powered by Seiko’s 9F family of quartz movement, is one heck of a quartz watch. This watch takes accuracy and precision to a whole new level as it is rated to be accurate to -/+ 10 seconds a year! I love browsing watch catalogs to see all of the collections and models that a brand offers. Rolex’s catalogs are one of the more interesting ones to browse, because littered within are also explanations and descriptions of the its technologies and capabilities. However, not all of the watches that Rolex makes are in the catalog. 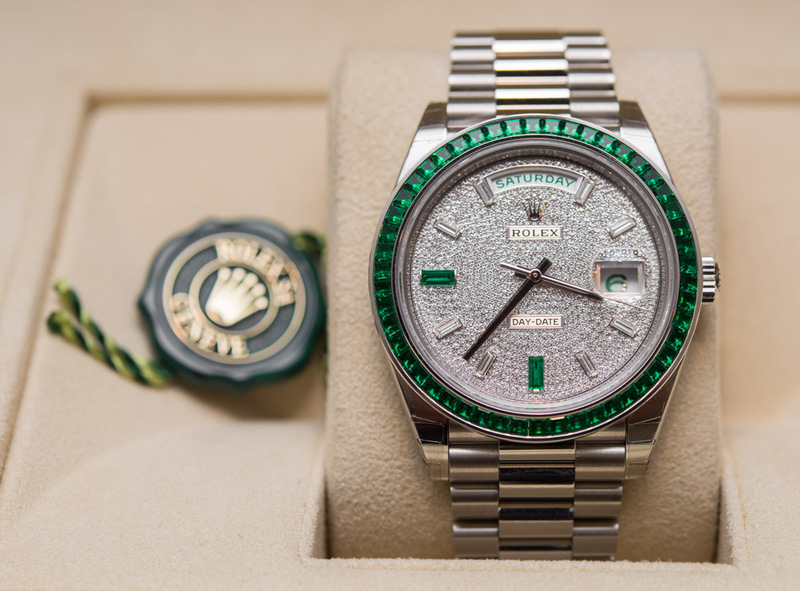 And one of those watches is the ultra rare solid-platinum Rolex Day-Date 40 Green Emerald Reference 228396TEM. I’m usually not a fan of blinged-out watches, but in this case, I think it’s fair to say that even the most conservative of watch lovers can appreciate the amount of craftsmanship that goes into producing this extremely rare piece. With the brilliant Jerome Lambert at the helm, Montblanc is a brand I’m following even more closely than before, and that’s a very good thing. Every January, I look forward to what they’ll announce at SIHH. And one of the biggest announcements last year was that Montblanc has created a new watch division which will operate as a separate business unit. But more than that, the man heading this new division is none other than Davide Cerrato, the ex-Tudor man who has been credited with much of Tudor’s recent success. 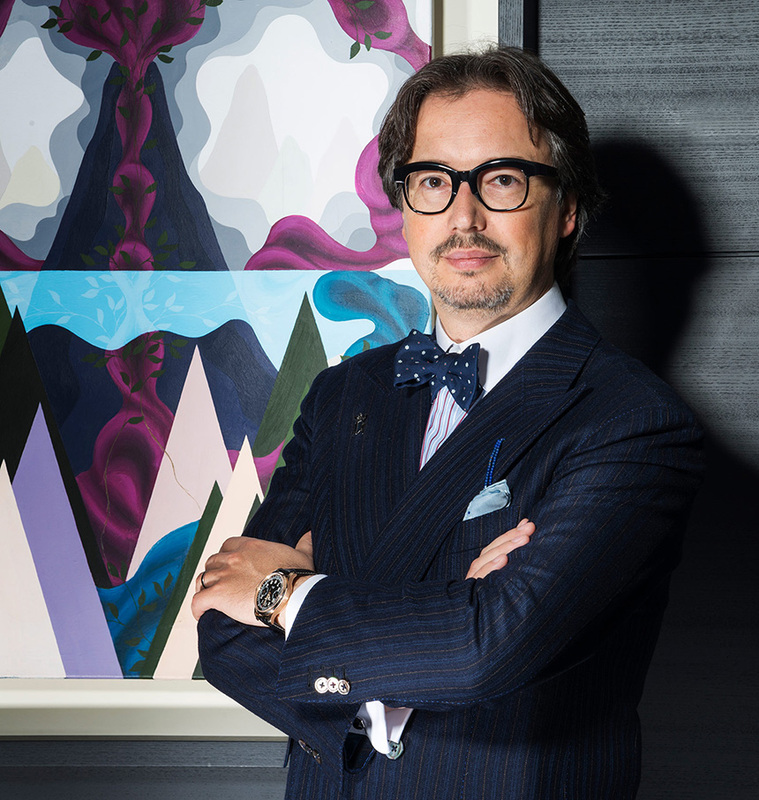 Find out in this interview how Cerrato plans to steer Montblanc to even greater heights. It is often said that a one’s choice of watches says a lot about the kind of person they are and the life they live. While I usually take this sentiment with a grain a salt, it is not entirely untrue. Obviously, it cannot tell you everything you need to know about that person, but it can give a glimpse into his or her life, tastes, and aesthetic preferences. And from there on, one might be able to draw some conclusions. 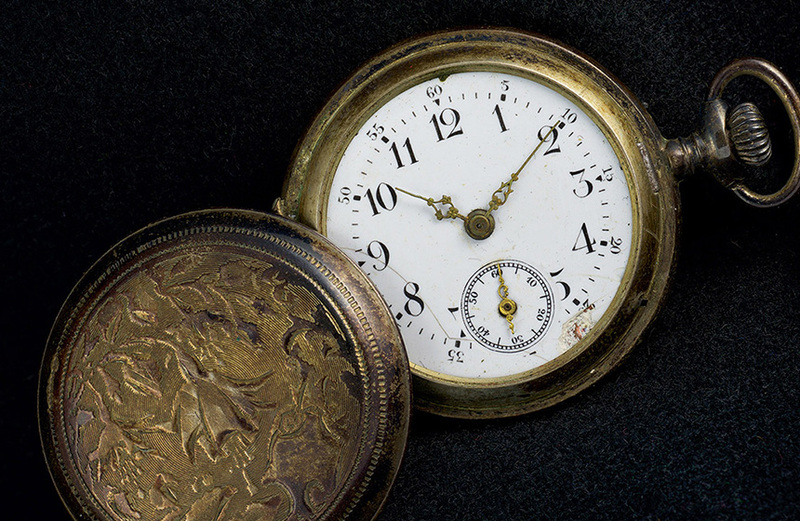 In this case, the author of this post inherited a box of his grandfather’s watches, and the stories that they tell and reveal are fascinating. 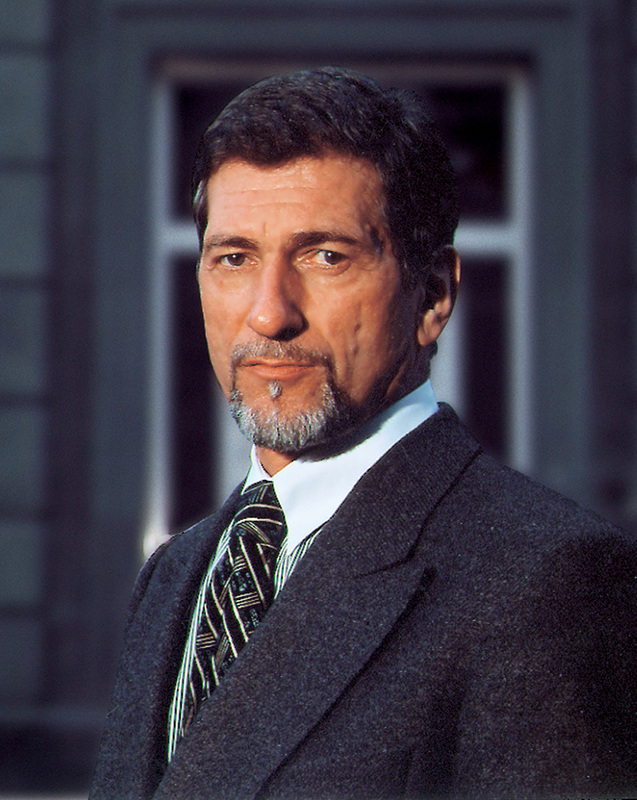 The name Günter Blümlein might not ring any bells to most readers, but it is safe to say that without this man, the watch industry would be a very different place today. Today, the brands A. Lange & Söhne, IWC, and Jaeger-LeCoultre are jewels in the stable of Richemont. But it wasn’t always this way. After the invention of quartz watches, IWC and Jaeger-LeCoultre were suffering, and they were saved thanks to the acquisition by VDO and Blümlein, who was to oversee the two companies. Later, Blümlein would also be directly responsible, along with Walter Lange, for resurrecting A. Lange & Söhne in 1994. And in 2000, the three companies would be sold to Richemont for over 3 billion CHF. Learn the story of this amazing man in this moving tribute here. Although sales of new watches are on the decline, the vintage watch market is proof that there are buyers out there who are willing to pay a premium for truly exotic and rare pieces. And amongst vintage Rolex watches, none are more valuable and desirable than the Rolex Paul Newman Daytonas. However, not all Rolex Paul Newman Daytonas are equal, and collectors prize certain variants more than others. The words and even font on the dial all play a big part in determining how much a Rolex Paul Newman Daytona is worth. 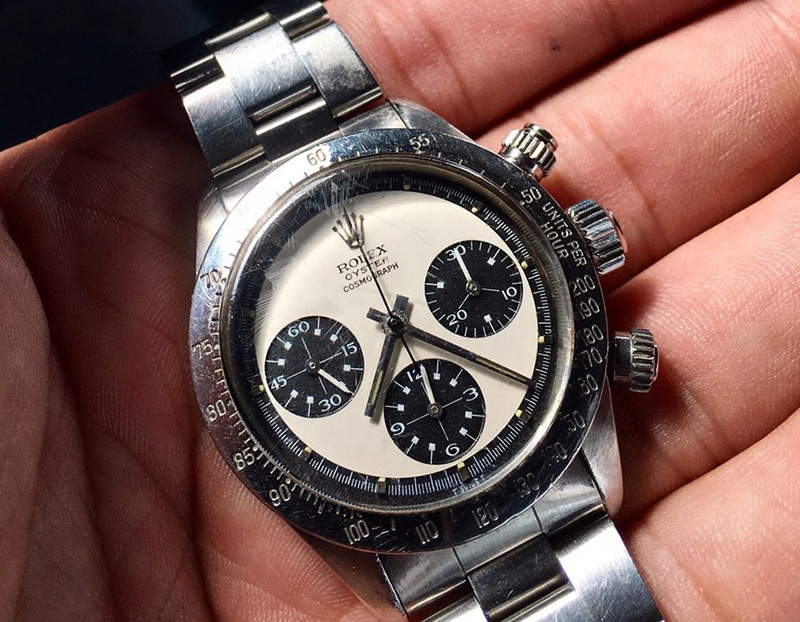 If you want to learn more about Paul Newman Daytonas, specifically the Rolex “Ghost” Oyster Paul Newman Daytona, hit the link below.